Thaddeus Cox’s 1944 Cape Cod in Portland, Oregon, has a roof that needs some attention. Not only is the roof under-insulated, but it’s currently covered in two or three layers of asphalt shingles installed over the original layer of cedar. 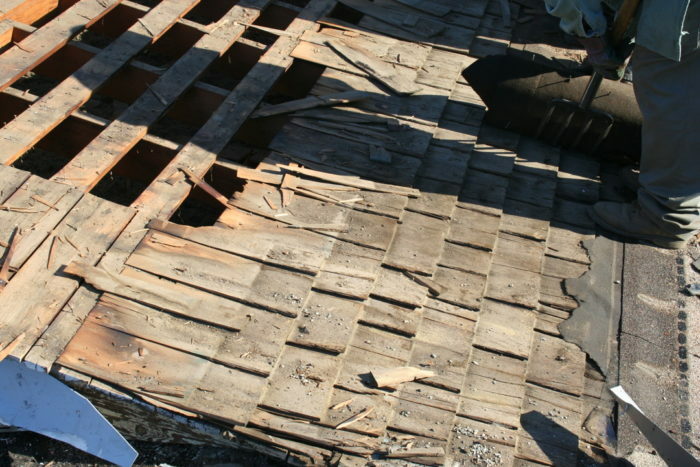 Roof sheathing consists of 1-in. thick boards. 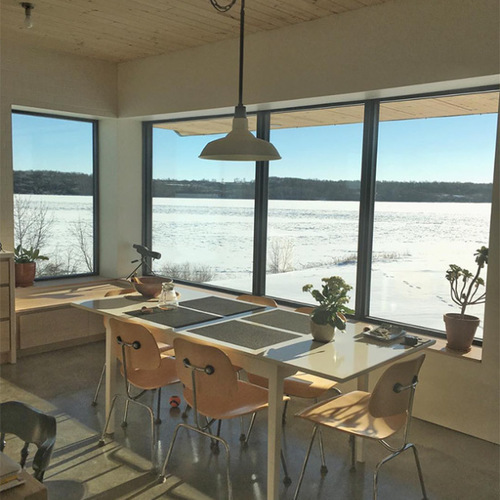 The International Energy Conservation Code recommends R-38 for the roof in this Climate Zone 4 house, far more than the R-11 batts Cox thinks are currently in place. But reducing winter heating bills isn’t Cox’s first concern, as he explains in this Q&A post at GreenBuildingAdvisor. His plan is to tear off the existing roof down to the 2×4 rafters and then rebuild. The question is how. Cox’s roof project is the subject of this week’s Q&A Spotlight. Increasing the R-value of the roof is an obvious place to start, if only to reduce summer heat gain in the second-floor bedroom. He has more than one option. 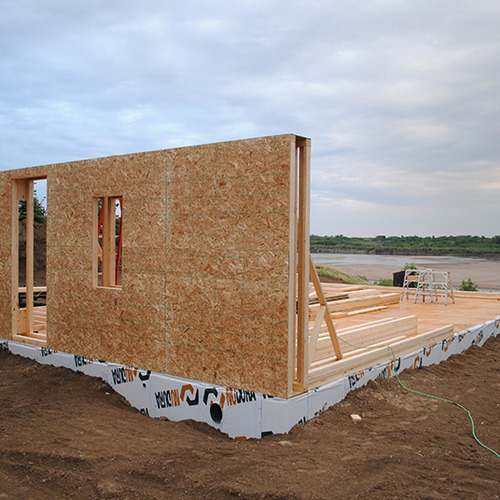 Even if Cox uses high-density foam, at roughly R-6.5 per inch, the 2×4 rafters will allow only enough insulation to reach R-26 at the most, so some additional depth would be required to reach code minimums. Low-density foam would need an even deeper rafter bay. With that in mind, Jon Schmid suggests furring out existing rafters to create a deeper rafter bay, then adding spray foam insulation. Bob Coleman likes Holladay’s approach. 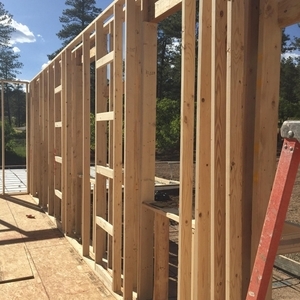 Adding rigid foam on top of the sheathing is “far more economical” than adding spray foam or dense-packed cellulose inside the roof cavity, he says. If Cox wants to vent the new roof, he can build in a space between the rigid foam and new roof deck. 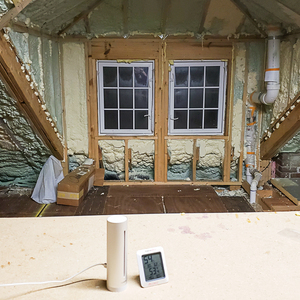 While Albert Rooks believes that adding rigid foam is the easiest approach, he offers another thought about the differences between types of insulation that may play a role in lowering summer heat gain. By choosing insulation with higher storage capacity, he adds, it will take longer for heat to work its way through the roof. 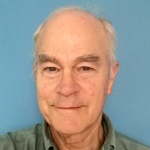 The increase in indoor temperatures will still take place, but increasing the cycle time means lower overall heat gain and seeing peak temperatures at 3 a.m. instead of 4 p.m.
Dense-pack cellulose and wood fiber insulation boards may have lower R-values per inch, Rooks says, but they have a much higher heat storage capacity than lightweight materials such as rigid foam. However Cox chooses to increase the insulation in the roof, he’ll still need to finish the assembly with roof cladding, and this, too, will have something to do with controlling summer heat gain. In his original post, Cox says he was leaning in favor of Energy Star shingles to reduce heat gain, although he wasn’t sure if they were worth the extra expense. Roofing products that carry the Energy Star label have certain solar reflective qualities, and they must have warranties equal to or better than comparable non-reflective products. Although Cox isn’t inclined to go with metal, “due to cost, appearance and noise (think rain on a metal roof),” Rooks agrees with Coleman’s suggestion, adding that a metal roof will last much longer than shingles. If the main objective of the new roof assembly is to improve overall thermal performance, but particularly to control summer heat gain, then it is always best to keep the heat out FIRST. Keeping solar heat out, before it becomes a conduction issue, is always the most effective summer heat gain strategy. Reduce the solar gain with a reflective roof cladding and if possible, introduce a ventilated air space underneath the cladding, which will increase convective heat exchange and provide a low-e surface on the backside of the cladding. I don’t think the specific heat capacity per volume of one insulation to another makes a significant difference. 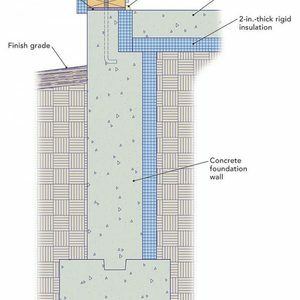 The specific heat capacity (per volume) of all insulations is relatively low and there is simply not enough storage in any insulation to match the day-night cycle of heat gain and loss in the roof assembly. One important way to take advantage of the day-night temperature cycle would be with night-time cooling: install an efficient whole-house exhaust fan to move hot air out and cool air in. I do like Martin’s suggestion of adding as much top-side rigid insulation as possible/economically feasible. Better bang for the buck and per inch of additional roof assembly profile. 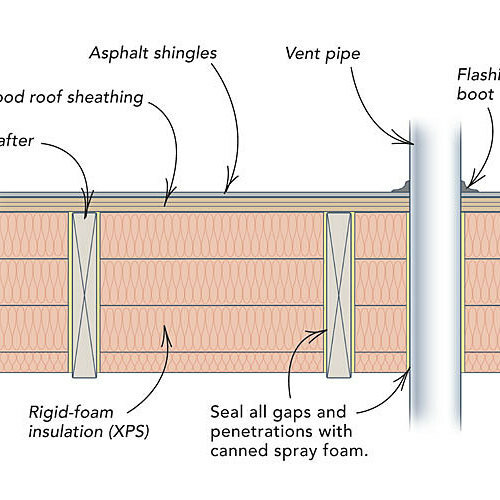 Something like this GBA detail for an exterior roof insulation retrofit. Replacement and renovation of existing structures certainly comes with a number of limitations as well as options. 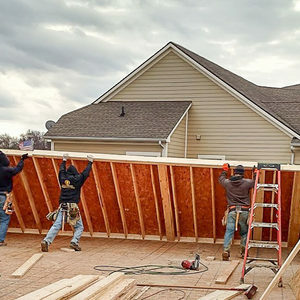 This article points out that when updating a roof construction for better insulation, you can be restricted to what you can do based on the original construction and the costs. In the end though, there are a number of options available to increase the efficiency of an existing building that these restrictions are be moot. For more information on roof renovation options, check this page. I thought whole house fans were big no-nos. 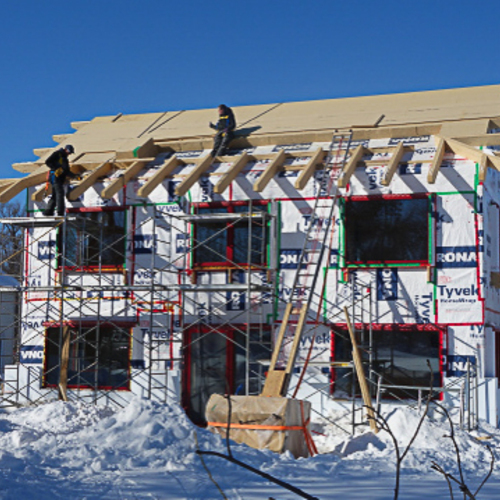 You would need a thorough insulating schedule during the winter to make them air-tight. The problem of radiant heat is during the day, and not at night anyway. If nighttime temperatures drop to comfortable levels, whole-house fans are an excellent way to provide cooling with much lower energy costs than air conditioning. Be sure to choose a high-quality fan; I suggest the Tamarack model HV1000, with R-22 insulated motorized shutters, 1000 cfm, about $428.